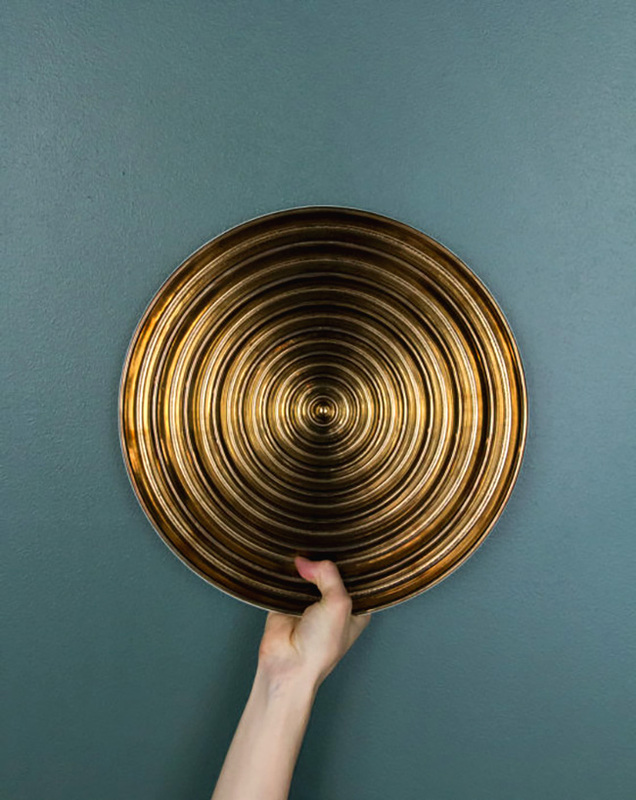 Ambiente Blog • Gold rush. A golden age has dawned in interior design. But if you’re just thinking majesty and magnificence, it’s time to broaden your horizons. 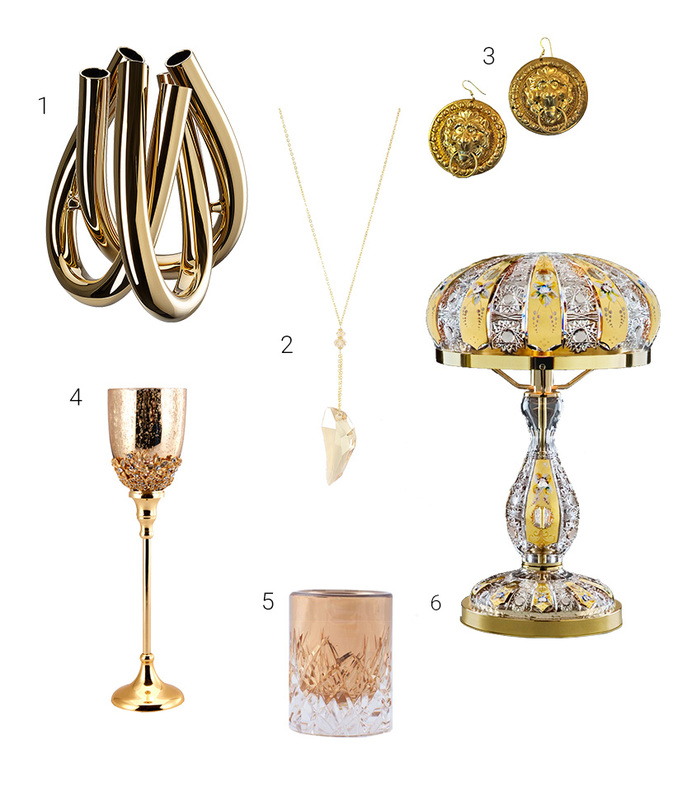 Gold can be opulent, but it can also be modern, modest and elegant. Like with marble, gold too has shown it’s versatile and can move with the times. It never really went away, but gold did get a reputation as passé, flashy and antiquated. Gold was the symbol of power you’d expect to see all over the private quarters of a newly-minted head of state. And we do mean ALL over. 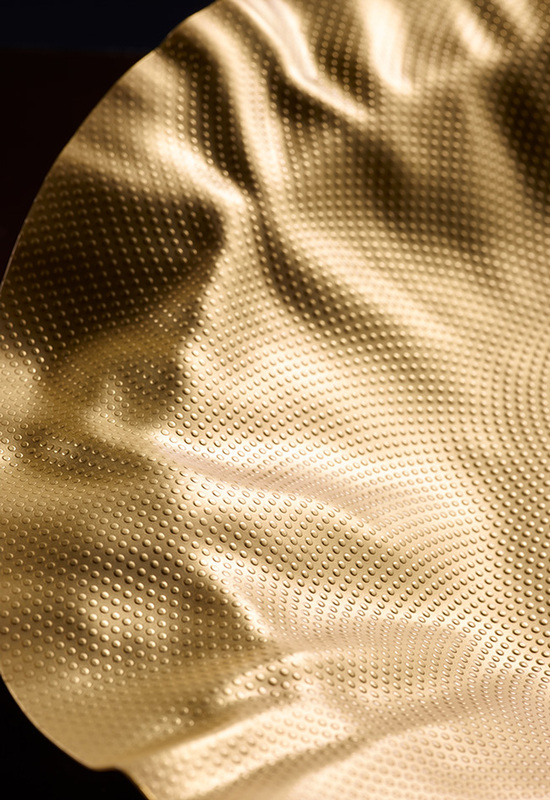 Yet, beginning with bathroom fittings and individual interior accessories, gold has made its way back into the limelight. It is presentable once again and is undergoing a real renaissance. 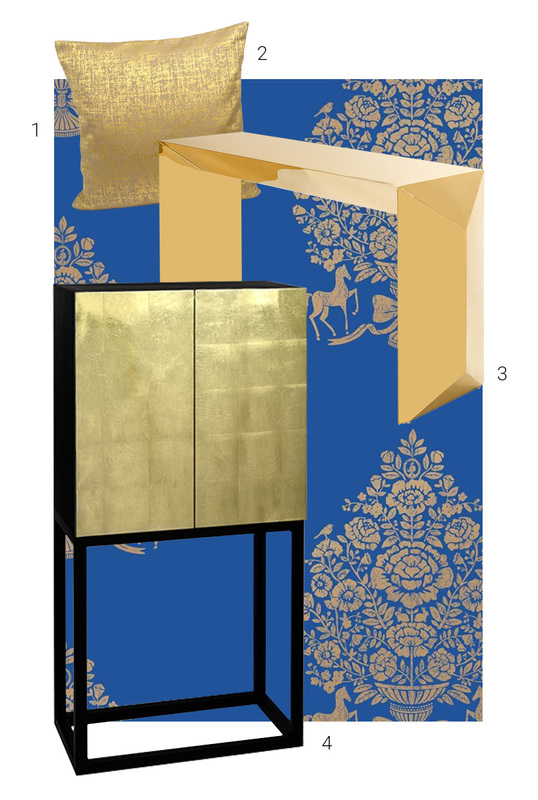 Many design studios are also paving the way with gold – on entire items of furniture! As you can see, even that need not necessarily be ‘bling’. This proves that gold is multitalented and can play a multitude of roles ranging from shy to brassy. Many of the latest designs to use gold are redolent of the elegance of bygone decades, without being fusty or passé. It’s one reason why the fashion house Versace have always loved using gold in their designs. 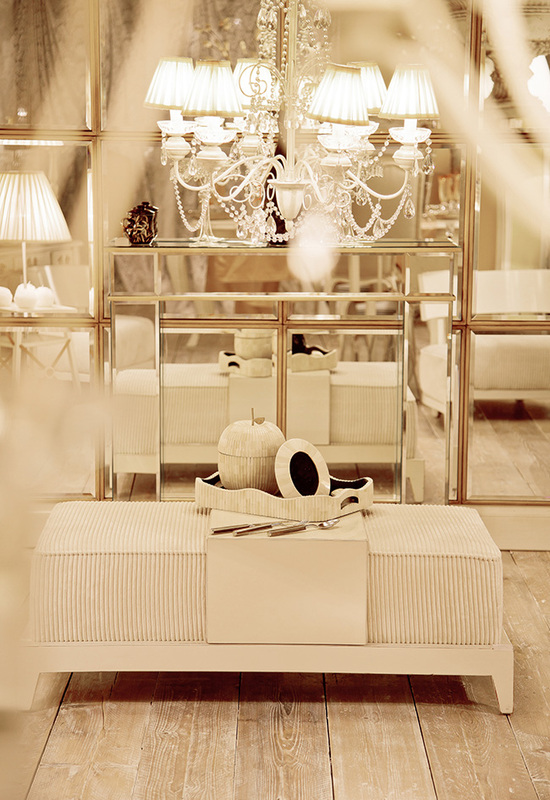 In interiors, lamps with gently reflective gold leaf, golden vases and jewellery all give off their own warmth. Wallpaper might have a fine gold pattern and crockery might be gilded, with either a matte or shiny finish: a hint of gold really catches the eye, adding style and a timeless touch. Why not be bold and go beyond a single candlestick or vase? Even when gold is self-consciously centre stage, covering larger areas than before, it doesn’t come across as pretentious, but unexpectedly modern and tasteful. Especially when it has a matte finish. So, whether you go for a cushion cover or an entire piece of furniture, don’t discount the gold option. Just a word of warning: Make sure you don’t gild everything in sight. But if you just add hints and highlights, you’re onto a winner. In the classical period, everyday objects were often gilded. This had a religious aspect, but even then gold clearly also had decorative potential. Glowing, glistening gold contrasts outstandingly with minimalist surroundings and really comes into its own. 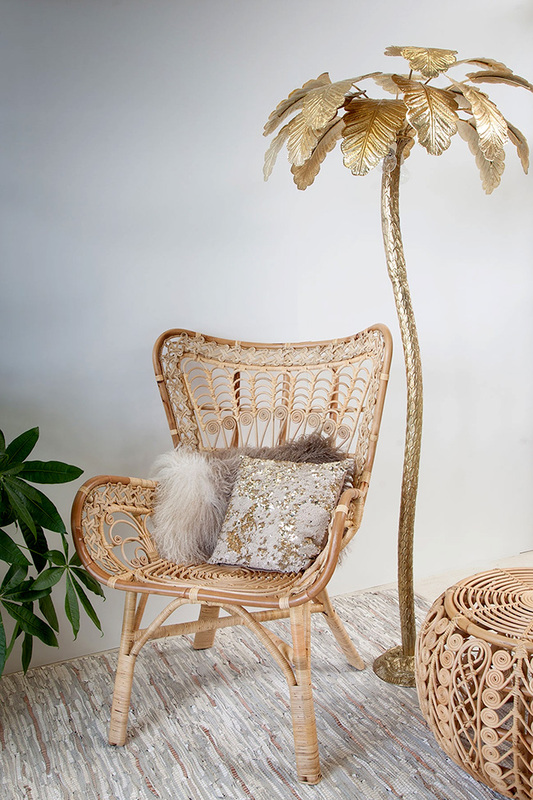 Shimmering sequins or a modest gilded objet d’art on the wall are safe ways to test the gold effect. 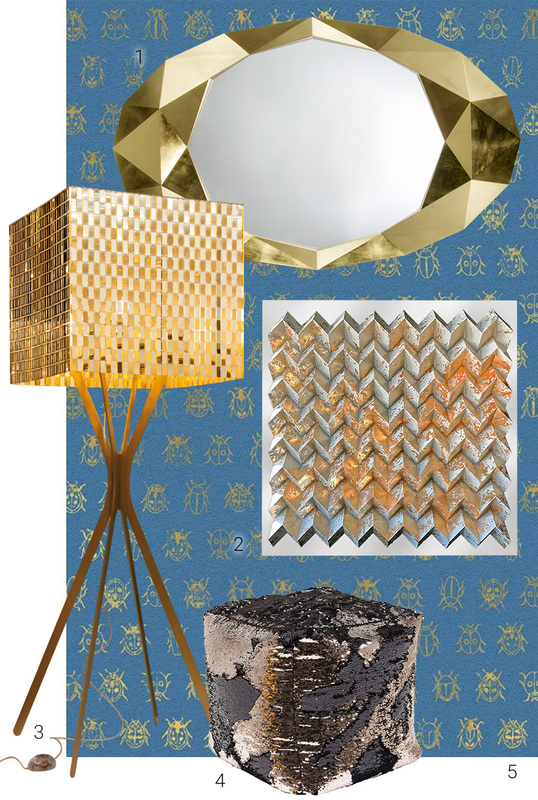 For a more out-there approach, choose high-sheen pieces such as a gold-framed mirror or sparkling lampshade for a glamorous statement. Gold has also been brightening up the fashion world for some time. This summer it added a certain je ne sais quoi to breezy looks for the beach and festival. As with interiors, a well-chosen accessory such as gold shoelaces or a metallic bag can give a lift, especially to purist outfits. Have we managed to convince you? The great combinations you can achieve with gold mean it can fit a wide variety of interior styles. It creates a harmonious, symbiotic relationship with almost every other colour, and with many materials from marble to wood. Natural wood finishes and light pastel shades lend gold a subtle, playful effect. If you prefer elegant and refined, combine gold accessories with dark fabrics, wood and paintwork. Gold makes the greatest contrast with black, white and other metals to give a clean, modern feel. Following in the footsteps of Gustav Klimt, many contemporary artists work gold into their designs. 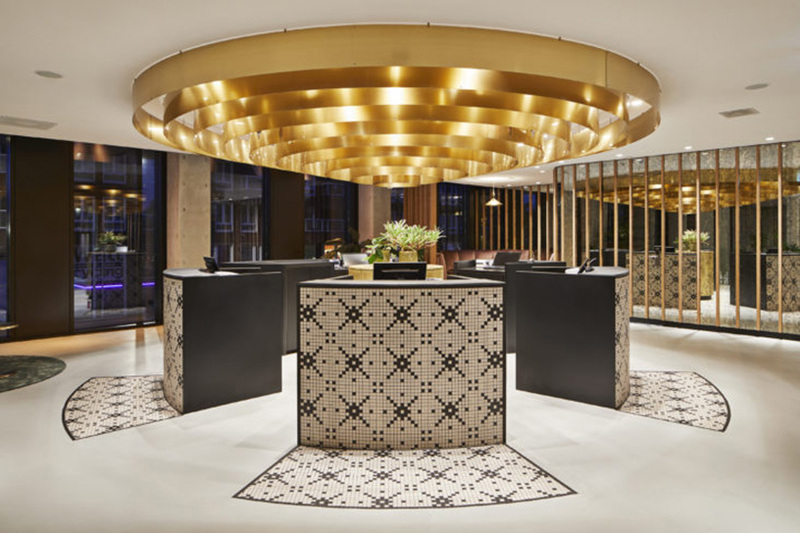 And hotels like the new QO Amsterdam incorporate gilded elements into their interiors, whose shapes also remind us of the era of art nouveau and art deco. These are signs that today’s gold rush will mellow into a lasting golden age.